Liverpool or Manchester City: Which club has the most difficult Premier League fixture list to play? The English Premier League season is down its final stretch of games. Liverpool currently sit atop the Premier League on 76 points following 31 games. Title rivals Manchester City are two points behind the Reds, but they have a game in hand. The title fight looks likely to go down to the wire. With just two points separating the teams, it begs the question: which club has the most difficult Premier League fixture list to play? The Reds have three major fixtures still on their calendar. Jurgen Klopp’s team must play Tottenham, Chelsea, and Wolverhampton Wanderers. The nine points up for grabs will be difficult to gain. All three opponents are fighting for European qualification; although Wolves will most likely need to win the FA Cup or Manchester City to lift the trophy to make Europe. Liverpool will play Southampton, Cardiff City, and Huddersfield as well. While three of their matches will come against top of the table sides, their other three fixtures are against relegation-threatened teams. Klopp’s Reds play FC Porto in the Champions League quarterfinals, which could affect their attempts at winning their first title since 1990. Pep Guardiola’s team has the benefit of a game in hand over Liverpool. The Cityzens also have a better goal difference (+58). Manchester City will play in the FA Cup semifinals and the Champions League quarterfinals. The added fixtures could play havoc with Manchester City’s attempt to win the title. However, Guardiola has plenty of high-quality talent at his disposal to retain the trophy. The Cityzens must still host Tottenham in the league. Their fixture at the Etihad will come three days after the clubs meet in their Champions League second leg quarterfinal match. Four days after facing Spurs in the league, Manchester City will play in the Manchester Derby against Ole Gunnar Solskjaer’s Red Devils. It is difficult to pick one side over the other. However, Manchester City have shown the ability to run riot over opponents. 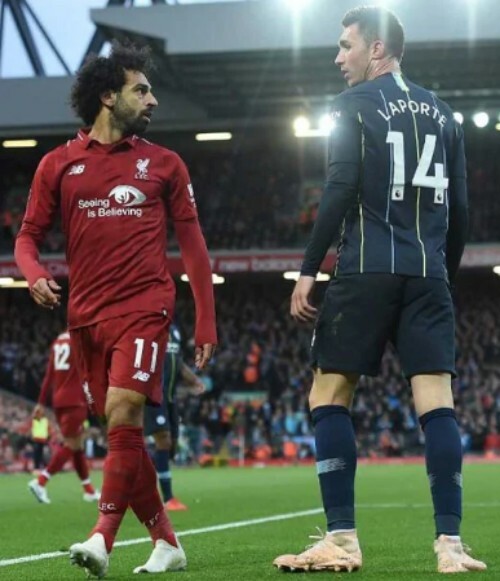 Manchester City also have the advantage of Liverpool’s top players being called away to far-flung destinations on the current international break. According to the Echo, Manchester City’s star will travel fewer miles than Liverpool’s international players. Will it effect the title race? It very well could. Are Chelsea ready to sack Maurizio Sarri?